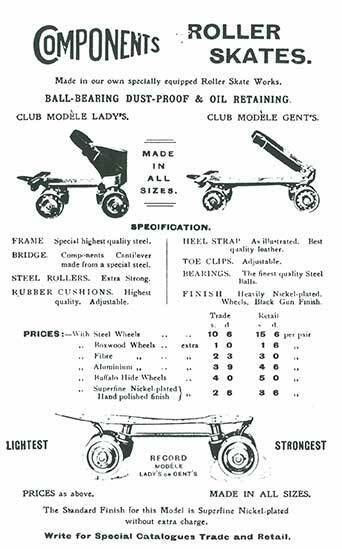 Another product from the early days of Components Ltd were Roller Skates. 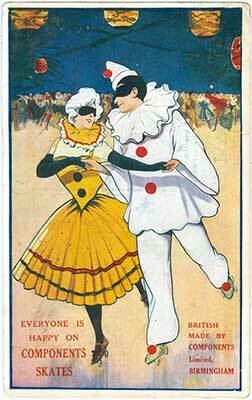 The two postcards shown below were posted in 1919 and 1911. 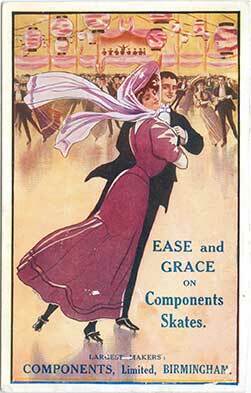 The page below is from a 1914 Components Ltd catalogue.